The whole nation of Pakistan is mourning, and all Pakistani embassies around the world have been ordered to lower their flags to half mast and open a condolence register following the savage shooting of 132 school children and 9 teachers at a military school in Peshawar, Pakistan. 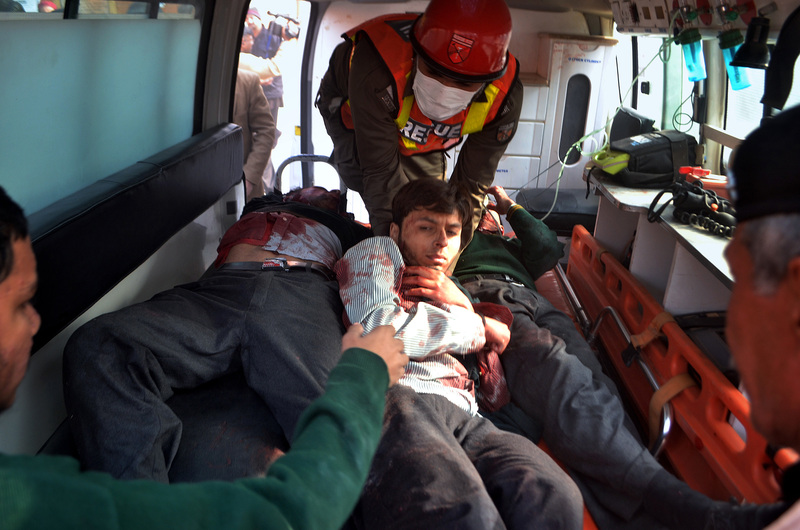 Seven Taliban gunmen wearing black boots and bomb vests had cut through fence wires at the rear end of the Army Public School in Peshawar where children from military and civilian backgrounds were busy writing an exam – and walking from class to class with blazing guns, shot all students and teachers until they killed 132 students, 9 teachers, and wounded 125 pupils who are currently undergoing treatment at an intensive hospital. It is being speculated that the Pakistani Taliban must have carried out this attack because of the Pakistanis military offensive against Taliban fighters at the Khyber and North Waziristan regions of the Afghan border. The military had been accused of destroying the families of Taliban fighters and burning their homes, and it is thought that this attack must have been a reprisal attack. Following Islamic injunctions, mourners crowded around coffins that were decorated with flowers and held a candlelit vigil before burying the dead at sundown on Tuesday. The shooting of the class students is the deadliest attack by the Pakistani Taliban till date, and the incident has sparked national outrage and anger the world over. US President Barack Obama complained that the terrorists had “once again shown their depravity” and UN Secretary General Ban Ki-moon regarded the act as “an act of horror and rank cowardice”. Even the Taliban in Afghanistan described the Peshawar school attack as un-Islamic, saying they share the sadness of the Pakistani families affected and would be sending their condolences soon.